Energy Medicine recognises that energy is a moving, vital force, often referred to as Chi or Prana. Using Eden Energy Medicine (EEM), you can activate your own natural healing energies. EEM can be used both as a complete system for self-care and as a complement to other therapies or medical care. This will be an interactive talk, during which you’ll be led through the “Daily Energy Routine” (DER), a series of 12 fundamental exercises that, while simple, are profound. Our energy moves in patterns and when we’re stressed, it can move into patterns that are more about survival than our overall vitality, health and wellbeing. These patterns can become energy habits over time. This can lead to chronic imbalances and challenges physically, mentally, emotionally and spiritually. The DER helps to establish new habits in our energy systems, ones that support and maintain optimum wellbeing. 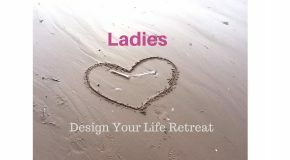 These exercises are excellent for anyone living in our fast-paced, modern and often stressful world! Benefits include: more energy, better sleep, strengthened immune system, clearer thinking and ability to focus, boost in openness to higher wisdom and inspiration, clear toxins and stagnant energies, and feeling more grounded and centered. Rachel Jacobson is a qualified Eden Energy Medicine Certified Practitioner (EEM-CP). She is also trained as an Eating Psychology Coach, Option Process Mentor-Counsellor and Emotional Freedom Technique (EFT) Practitioner. Rachel’s passion for health, wellbeing and eating psychology comes after a long journey with depression and an eating disorder. As a teenager and young adult, she spent many years working through personal demons, unraveling and changing self-limiting beliefs and energy blockages. Free for first time guests invited by Mastery Path Members * (NB must book at least 24 hours before event in own name via Eventbrite to qualify for this offer, otherwise charges apply on the door). Free for Under 18s when accompanied by parent or guardian. Thanks for your feedback Patsy, good to know that you’re able to apply what you learned. Energy Medicine is medicine of the future for sure and accessible to all.